An RV is like a house on wheels, so it makes sense for RV insurance coverages to provide bigger protection for your bigger vehicle. At Tatje Insurance we strive for excellence. When you need to ask a question, make a change or report a claim, we’re ready to help. RV insurance can protect your investment from top to bottom. With RV insurance, you can select all sorts of coverage, including Vacation Liability, Full Timer’s, Emergency Expense and more. Your RV insurance policy protects your traveling companions and your valuables when you’re on a trip. 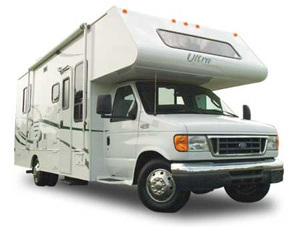 If you’re looking for more than just RV insurance, see what other types of vehicles we insure.